In yet another impressive feat from Elon Musk’s private space company, the Falcon 9 Reusable Rocket completed it’s second test on Friday April 2nd, 2014. 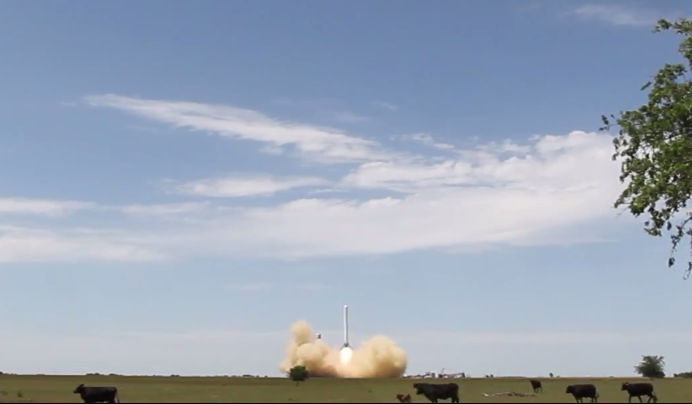 In this latest test of the reusable rocket system, the Falcon 9 effectively quadrupled its height from its last test. Having reached 250 meters during its last test flight, the rocket now reached a full kilometer and then descended safely back to Earth and achieving a soft landing. This comes just two weeks after SpaceX launched one of its Falcon 9’s on a supply mission to the ISS, which included the soft landing of its stage one rocket. Unfortunately, high sea waves prevented a boat from meeting the rocket on its ocean-based pad. And so, the rocket landed in the ocean, hovering for a few seconds before toppling into the sea. Still, the fact that the rocket was able to make it back to just above sea level was good news, and confirms that SpaceX is that much closer to the dream of reusability. F9R test flights in New Mexico will allow us to test at higher altitudes than we are permitted for at our test site in Texas, to do more with unpowered guidance and to prove out landing cases that are more-flight like. This is also good news for NASA, which officially announced the cessation of cooperation with the Russian Federal Space Agency in early April. While their inability to rely on Russian Soyuz rockets to send astronauts into orbit (and bring them home) has allowed NASA to apply greater pressure on the federal government to fund its Reusable Launch Vehicle (RLV) system. However, Russian Deputy Prime Minister Dmitry Rogozin had a more mocking suggestion. After initially joking that American astronauts would be left stranded on the ISS, he also recommended that NASA try using a trampoline to reach orbit. The joke was naturally irrelevant, since day-to-day operations involving the ISS are not going to be affected by these sanctions. Still, the inability to rely on Russian Soyuz’s in the near future will mean that US satellites – which are used for everything from GPS to spying – will be undeployable for the time being. It also means that orbit conducted in Low-Earth Orbit will be complicated. 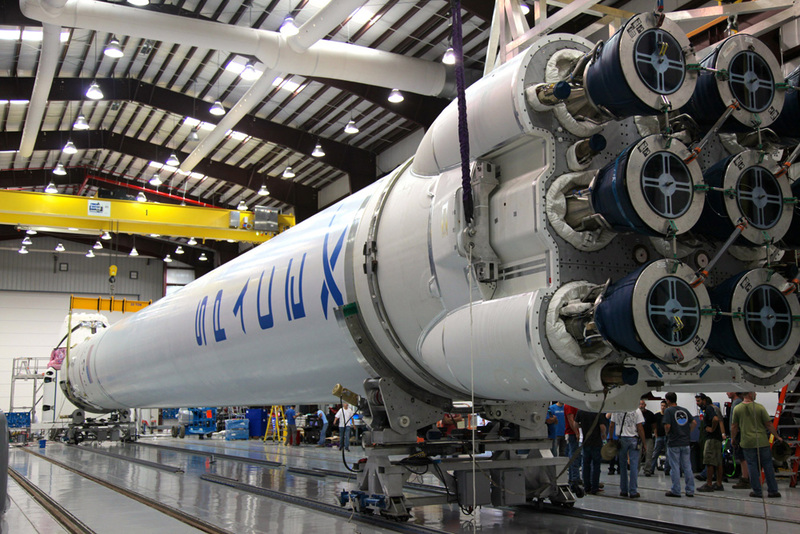 As such, a reusable rocket system, be it NASA’s own or an external contractor’s (in this case, SpaceX) will give the US sanctions against Russia additional weight. It will also ensure that the dream of cost-effective space travel, which is intrinsic to everything from colonizing the Moon and Mars to establishing a Space Elevator and asteroid mining, will be become a reality in the not-too-distant future. The sky is no longer the limit, people! And be sure to enjoy this video of the F9R 1000 meter test flight.